KS PERMAGLIDE® plain bearings are made from metal-plastic composite materials. The combination of steel, non-ferrous metals and polymers creates materials with excellent tribological characteristics. The composite, multi-layered materials have a high rigidity and viscosity thanks to the steel back and very good sliding properties thanks to the sliding layer structure of bronze and polymers. KS PERMAGLIDE® materials are used to make sheets in thicknesses of 0.5 mm to 3 mm on high-volume machines as primary materials. The sheets can be used to make sliding elements from KS PERMAGLIDE® in a wide range of designs using all conventional sheet metal processing methods. 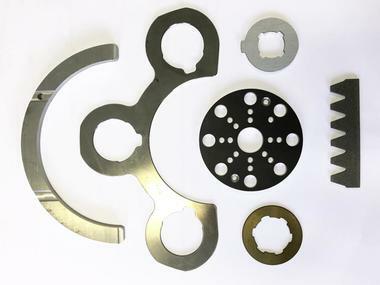 Motorservice offers a wide range of special shapes to suit your requirements, e.g. for machining moulded parts. Machining is carried out according to the high quality standards of the automotive industry with tolerances in accordance with DIN ISO 3547 or more precise. The Motorservice sales team can advise you on the design, material selection and quality of your other designs. Caution when cutting at high temperatures! High temperatures cause burns to the cut surfaces. The carbon deposits can be abrasive! Clean the cut surfaces carefully if necessary. Caution during water jet cutting! The cutting takes place on the jet side to prevent the sliding layer from being washed away. Machining temperatures above 140 °C constitute a health hazard. P22 chips contain lead. Lead is hazardous to health. Changes in colour may occur on the polymer sliding layer due to high-energy radiation e.g. UV-light. To protect the surfaces, exposure to direct sunlight should be avoided. Removing more material reduces service life. Inexpert machining will have a negative impact on service life and load bearing capacity. Parts must be cleaned after machining. 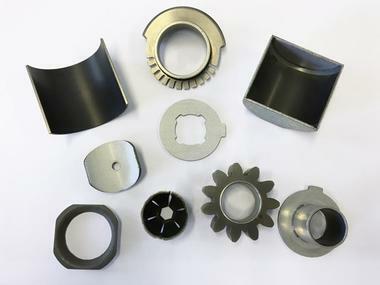 KS PERMAGLIDE® plain bearings can be cut or can be machined in other ways (e.g. shortening, bending or boring). KS PERMAGLIDE® plain bearings should preferably be cut from the PTFE side. The burrs produced during cutting would impair the sliding surface. Bearing elements must be cleaned after machining. At higher low densities or with longer coating times, the sliding layers must be covered to prevent deposits. Calibration considerably shortens the service life of KS PERMAGLIDE® P1 bushes. 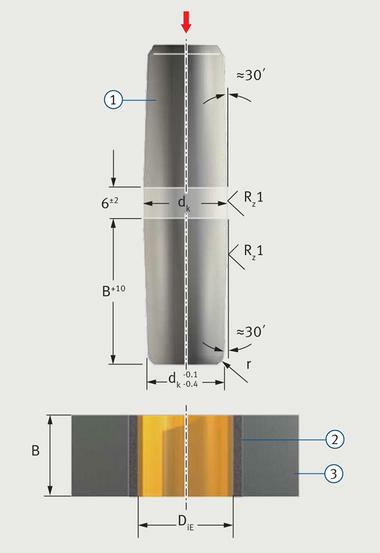 The illustration shows calibration using a mandrel. 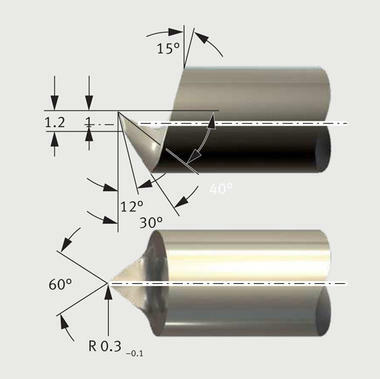 The table contains standard values for the diameter of the calibrating mandrel dK. Precise values can only be ascertained through tests.